Many lean purists believe that all warehouse functions are nothing but pure waste. Unfortunately, efficient and effective logistic operations in the global economy create significant competitive advantages and simply cannot be ignored. 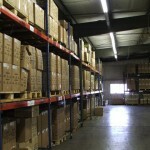 The Lean warehouse is necessary and plays a crucial role in the entire supply chain. 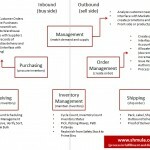 The use of facilities for inbound material logistics and outbound finished goods distribution are the bridges that connect all the imbalances and lack of flow in the entire stream. Leaders inside the warehouse must be knowledgeable about Lean warehouse techniques. 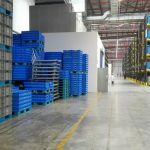 By using lean principles, warehouses will see a remarkable improvement in organization and product flow as well as their ability to meet the demands of customers. Creating a Lean warehouse is not something you accomplish overnight. It takes vision, planning, strategy, tools and tactics. You need to develop team members into problem solvers and then provide a leadership infrastructure to support their efforts. Identifying and solving problems may seem simple enough, it can prove to be elusive for some leaders. The results achieved through your Lean warehouse efforts can be powerful. Improved customer fill rates, decreased inventory levels, decreased inventory carrying costs, improved inventory accuracy, increased asset and team member utilization are all benefits of a Lean warehouse. The concept of standardization is a key Lean warehouse principle. Creating standardization of processes is to create tasks are easily repeatable with planned zero waste. The creation of standard work allows your warehouse team to understand processes from the point of view of inputs, procedures, timing and outputs. The visibility of material flow, inbound logistics, internal warehouse flow, and outbound logistics are crucial to the Lean warehouse. We need to understand the flow of material and support the perfect order, which is the right quantity, at the right place, at the right time in the right quality. The lean concept of visual management allows leaders to understand the score of the operation so they can make decisions in real time that impact the overall flow of material to the customer. This concept is counterintuitive to many warehousing operations. Most warehouse operations simply react to what orders show up at the facility on any given day. The goal is to create a Lean warehouse, where problems are visible and where we fix problems at the root cause. 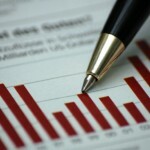 Accomplishing this will create the Lean warehouse and drive powerful business results.